The EUR/USD currency pair reached a new local minimum. The price broke the ascending channel’s lower border, but this movement didn’t seem to be strong. Our expectations remain the same, we should expect the pair to grow up. 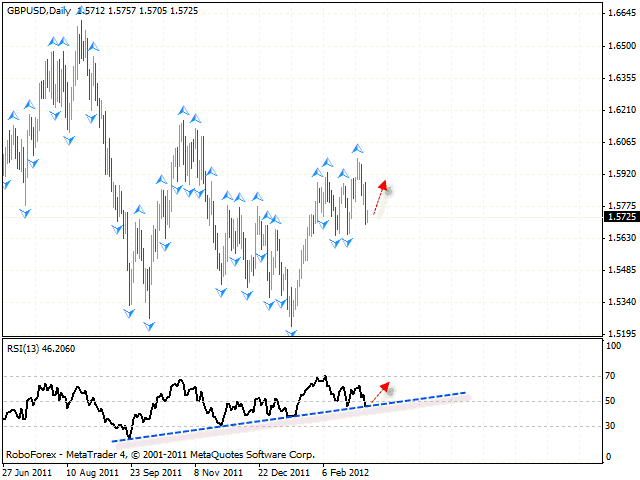 In order to consider buying the pair, one is recommended to wait until the price breaks the level of 1.32. The closest target of the growth is the level of 1.3640. If the pair falls down into the area of 1.3040, the current trend will change and the formation of the ascending pattern will be cancelled. Pound fell down much lower than we expected. 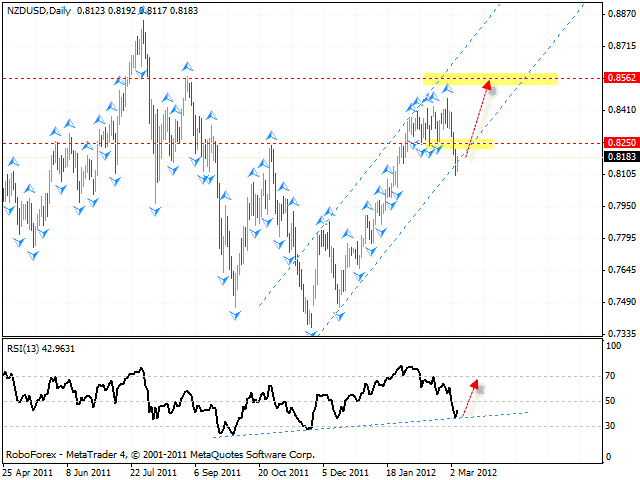 However, at the daily chart of the pair the RSI indicator was supported by the trend’s ascending line. In this situation, the main scenario is the one which includes the start of the ascending movement. One can consider buying Pound only after the price breaks the level of 1.5760. If the price falls down and stays lower than 1.5650, the main scenario will be cancelled. 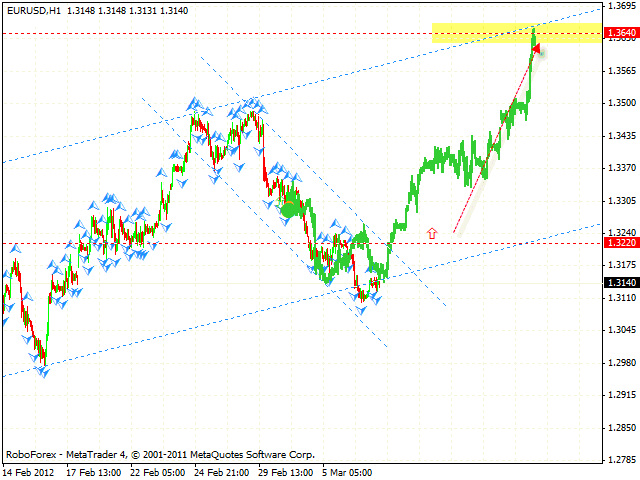 The USD/CHF currency pair, just like the EUR/USD one, tested the local maximums. However, the pair is still moving inside the descending channel. One can consider selling the pair only after the price breaks the level of 0.9125. The closest target of the fall is the area of 0.88. If the price continues moving upwards into the area of 0.9220, this case scenario will be cancelled. New Zealand Dollar rebounded from the ascending channel’s lower border, the RSI indicator was supported by the trend’s ascending line. 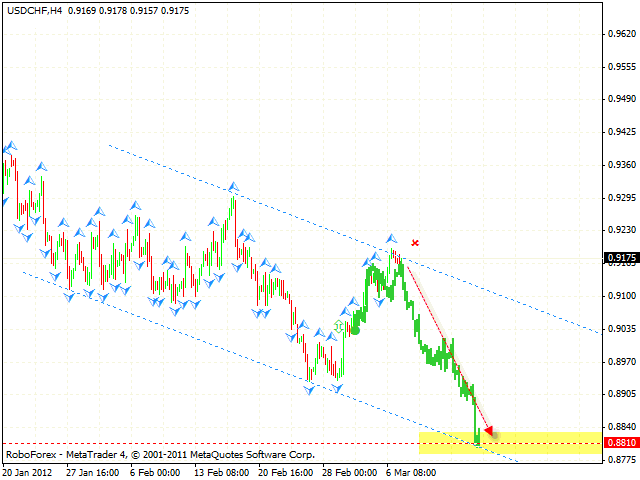 One can consider buying the pair only after the price breaks the level of 0.8210. 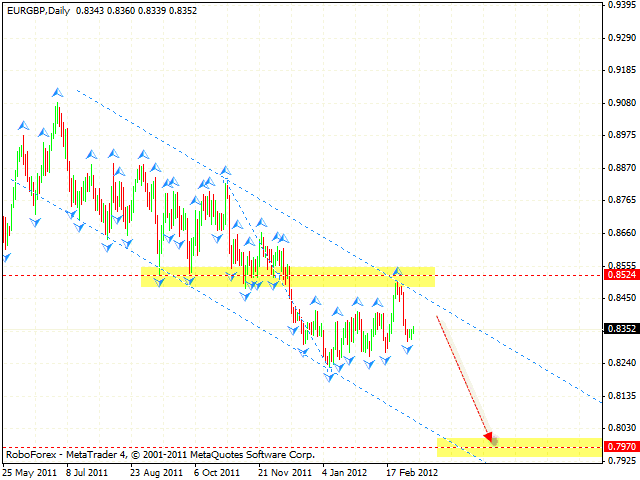 If the price falls down into the area of 0.8030, this case scenario will be cancelled. In case of the EUR/GBP currency pair the situation is very interesting, as it has been moving inside the descending trend since the second half of the last year, and there is still some potential for the price to continue moving downwards. Currently we should expect the price to test the level of 0.84, where one can consider selling the pair with the tight stop. The long-term target of the fall is the area of 0.7970. If the price grows higher than 0.85, this case scenario will be cancelled.